Click the button below to add the Zinc Exhaust Discounted Hood 48" to your wish list. Discount zinc exhaust hood cover for a kitchen wall installation. It was made in dark zinc with even a darker crown molding. It is decorated with wide polished copper vertical and horizontal straps, and apron. 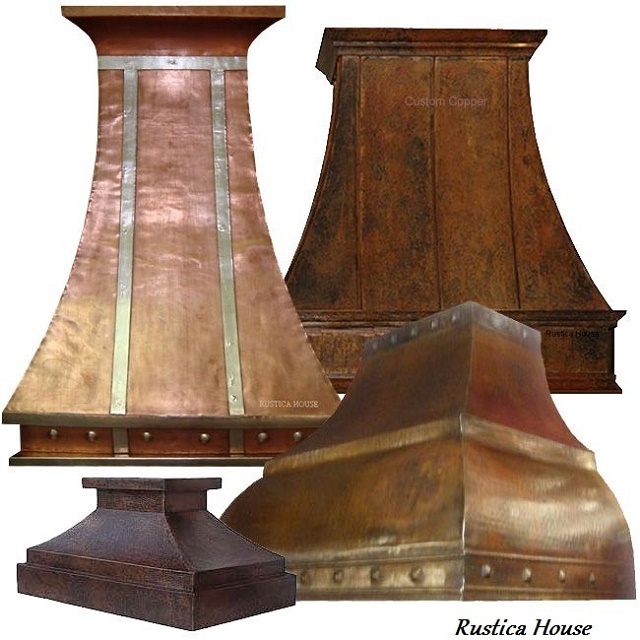 As any Rustica range hood offer with a discount it cannot be modified any more. It is sold as it is This exhaust hood was made 48 inches wide, 36 tall. Hood depth front to back at the bottom is standard 24. Delivery time is estimated for two weeks.